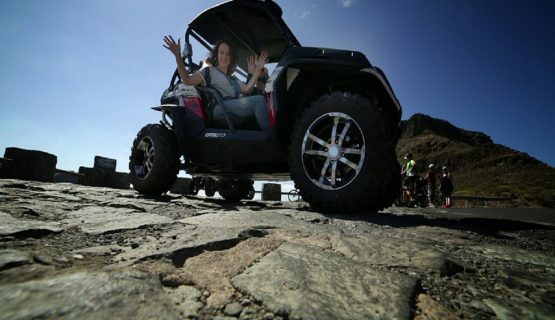 The Gran Canaria 4x4 Buggy Tour is for 2.5 hours and goes every morning from 10-12:30 and every afternoon from 13:30-16:00. Return transport is included from your hotel in all resorts in the South of Gran Canaria, including Playa Del Ingles, Puerto Rico, Maspalomas and Melonares. 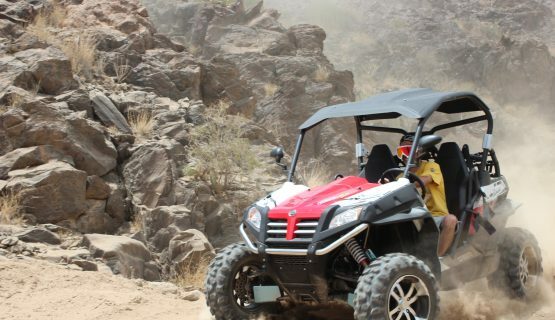 The Buggy Tour is the perfect way for ´thrill-seekers` to explore Gran Canaria. The Buggy Tour is a fantastic trip for those who wish to see more of Gran Canaria than the touristic beaches and sea. 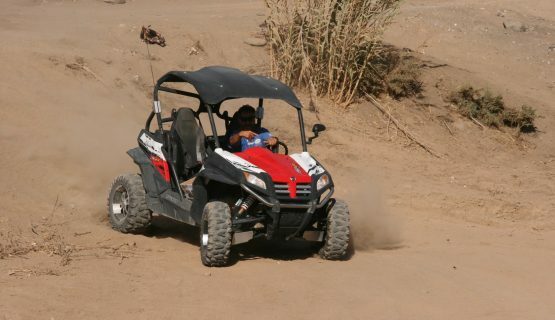 Each of the Buggy´s on the tour travel in a line, passing ravines on an unforgettable adventure. You are in control of the buggy as you drive through rugged mountains over rough terrain and they are very easy to drive. During the trip, we will pass through stunning terrain, canarian villages, which seems almost as if things have gone back in time when you see how simply they live and have your camera ready as you pass along Cliff faces with inhabited cave houses built within them. Make some fantastic memories and some great photo's this would make a perfect Go Pro Video! 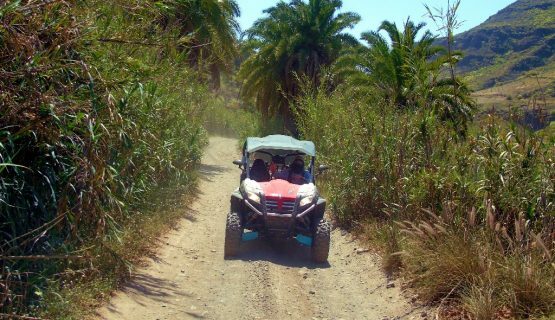 The Buggy Tour is the perfect way for ´Adrenalin Junkies` to explore this magnificent Island of Gran Canaria. Fasten your seat belts and prepare for an unforgettable adventure this tour is perfect to do on your own or for couples and friends. Our Buggy Tour goes every morning from 10-12:30 and every afternoon from 13:30-16:00. Return transport is included from your hotel in all resorts in the South of Gran Canaria, including Playa Del Ingles, Puerto Rico, Maspalomas and Melonares. 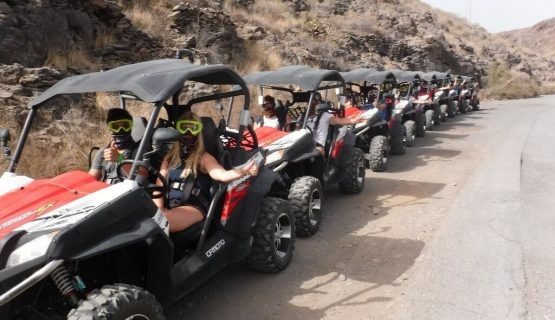 The Buggy Tour is the perfect way for ´thrill-seekers` to explore Gran Canaria. The Buggy Tour is a fantastic trip for those who wish to see more of Gran Canaria than the touristic beaches and sea. 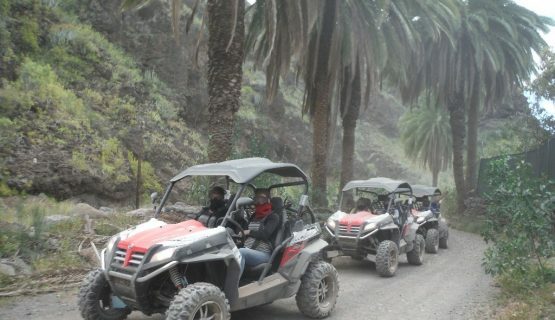 Each of the Buggy´s on the tour travel in a line, passing ravines on an unforgettable adventure. You are in control of the buggy as you drive through rugged mountains over rough terrain and they are very easy to drive. Often, Gran Canaria is only spoken of for its beaches, hotels and sea. After the Buggy tour, you will be left with fanastic memories of this mini-continent which has so many things to offer, including huge valley´s, rock formations, mountain roads and Canarian Culture. We make regular stops at some beautiful view points and these are great opportunities for you to take breathtaking photographs of some of the stunning sights that Gran Canaria has to offer. During the trip, we will pass through stunning canarian villages, which seems almost as if things have gone back in time when you see how simply they live and have your camera ready as you pass along Cliff faces with inhabited cave houses built within them. The Buggy´s can be hired for 1 or 2 people and each buggy is newly renovated and Fully Insured. 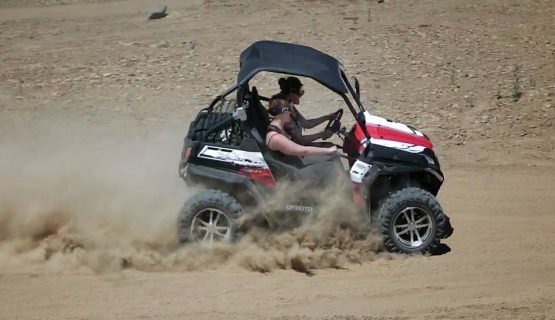 This is a highly recommended trip for those of you who want to enjoy the freedom of controlling your own buggy and see parts of Gran Canaria and roads that are not accessable with a ´normal` car. After the Buggy Tour, you will be returned to your hotel, having made some fantastic memories and hopefully taking some amazing photographs. Click Book Now, select your date time slot and reserve!